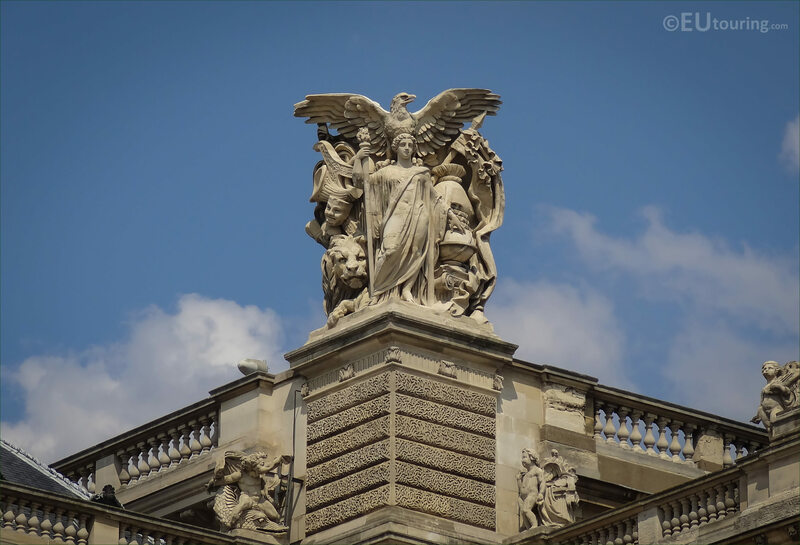 We were again at the Musee du Louvre in the 1st Arrondissement of Paris, and we took these high definition photos showing the statue called Paix on the Aile Henri IV, sculpted by Antoine Auguste Preault. 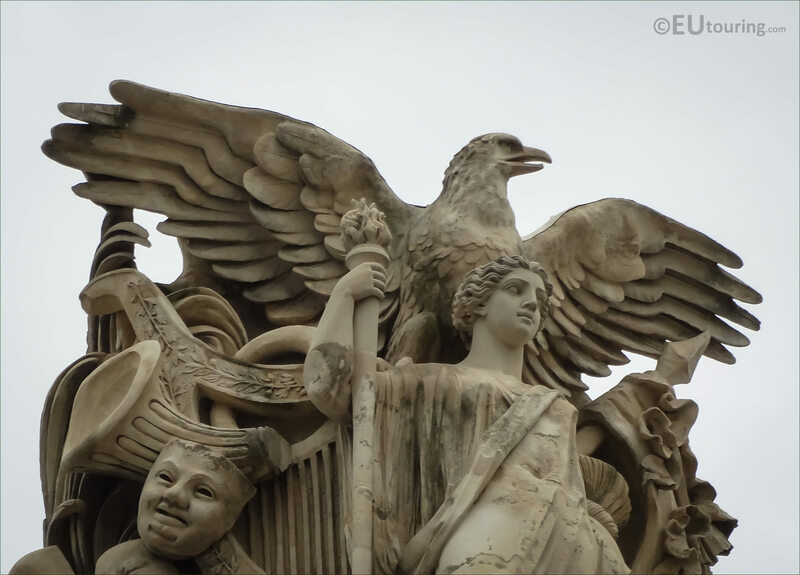 This first HD photo shows the statue group called Paix, which in English translates to Peace, and this is located by the rook on the Aile Henri IV wing of the former Palais du Louvre, which can be seen on the far left hand side when you are looking at the facade from the Cour Napoleon courtyard. 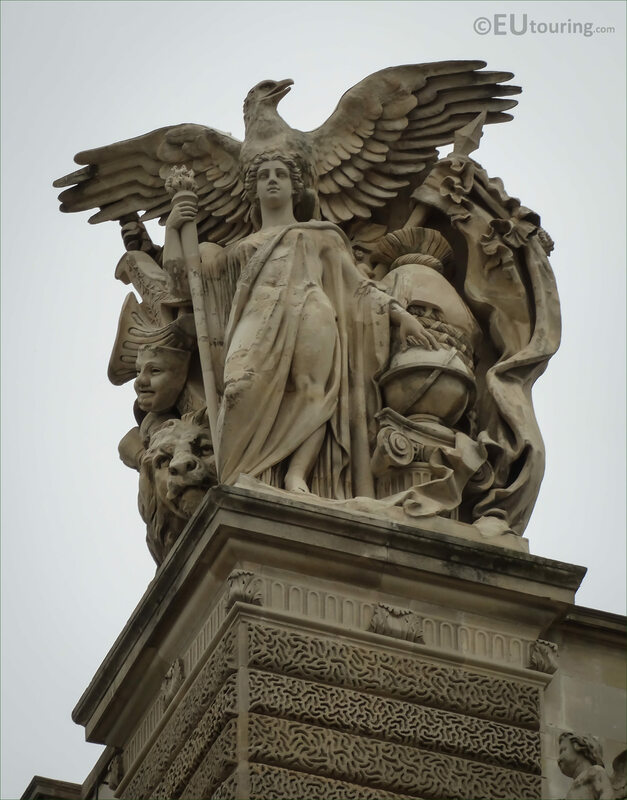 Now this particular statue group is an allegory representing peace, whereas on the opposite corner on the Aile Henri II you have the statue representing war, and both of these were sculpted in stone by Antoine Auguste Preault and put in place in 1857 when numerous decorations and embellishments were being added to this famous tourist attraction in Paris. 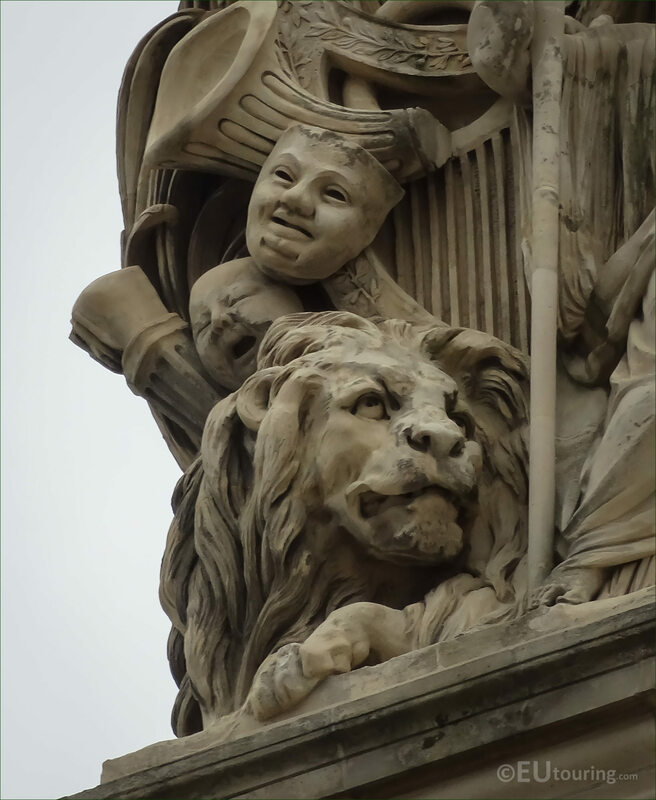 So this next photograph shows a different angle of the Paix statue and you can see the detail that went into its production with the eagle, the lions head the figure and much more, by the French sculptor Preault, who was born in 1809 and studied under David d'Angers, yet was never admitted to the Ecole des Beaux Arts. And although he had a bad start to his career, with works being refused and criticised during the Second Empire, Antoine Augustin Preault, often known as just Auguste Preault, began to receive numerous public commissions and became respected for his characters and expressions within the statues that he sculpted, as you can no doubt tell from this close up image. 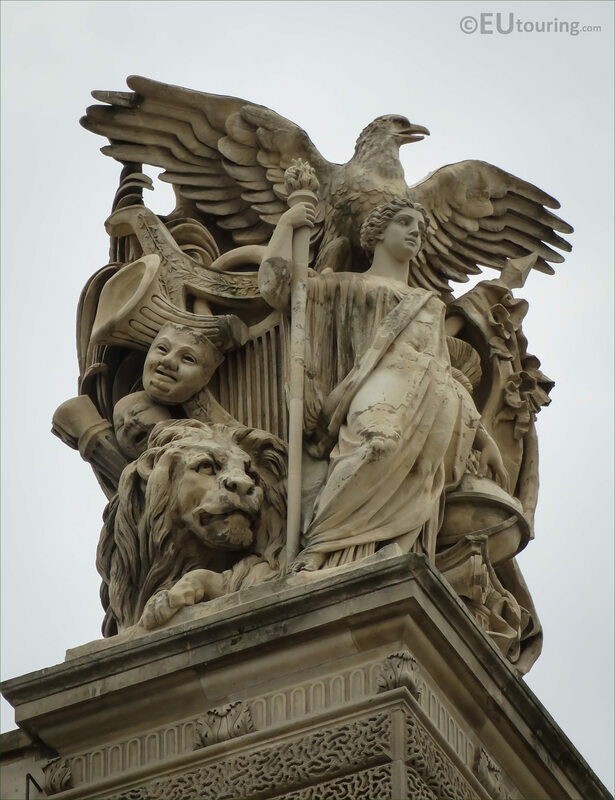 However, you will find that Antoine Augustin Preault also produced medallions and portrait style statues as well as allegorical sculptures and these can be seen within museums around France including the Chateau de Versailles, the Musee d'Orsay and the Musee du Louvre in Paris. Plus he sculpted monumental works for historical buildings including some for different churches, and even received a commission to produce one of the series of Queens of France and Famous women presented within the Luxembourg Gardens, working all the way through to 1875, until Auguste Preault passed away in Paris at the start of 1879.